D Link's D100 Android tablet has launched in India. The tablet is already available on different e-commerce sites for price around Rs. 12,500. D-Link's latest Android tablet – D-Link D100 – is now available in India via e-commerce sites for Rs. 12,534. 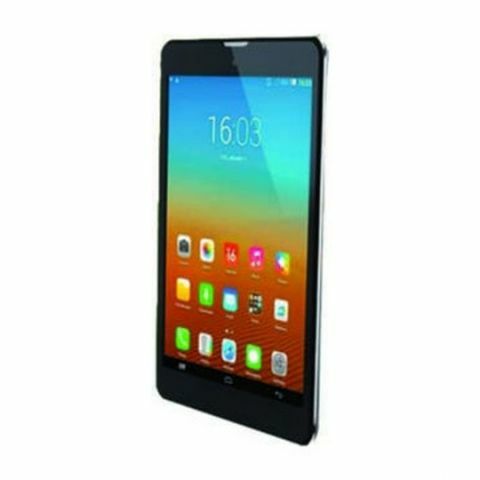 The voice-calling tablet has a 7.85-inch display, runs Android 4.4.2 KitKat and is powered by a 1.3GHz quad-core processor along with 1GB of RAM. The tablet features 5MP rear camera and 2MP front-facing camera. The D-Link D100 comes with 16GB of built-in storage, supports additional storage up to 32GB via microSD. Connectivity features inlcude 3G, SIM slot, Bluetooth, OTF and Wi-Fi. The smartphone is powered by a 4000 mAh battery. The D-Link D100 is available via eBay for Rs. 12,534 while Snapdeal and Flipkart are selling the tablet for Rs. 13,304 and 13,545. D-Link hasn't officially announced the launch of the device. The new D-Link tablet will be competing against a range of voice calling Android tablets in the market. Asus recently launched new variants of its Fonepad 7 and MeMOpad 8, featuring Intel core processor coupled with 2GB RAM. The tablets runs on Android 4.4 KitKat with ASUS Exclusive Zen UI on top. The ASUS Fonepad 7 – FE171CG and ASUS MeMO Pad 8 - ME581CL are available on Flipkart for Rs. 10,999 and Rs. 19,999 respectively.